Enjoy this Indian cuisine from the comfort of your own kitchen. 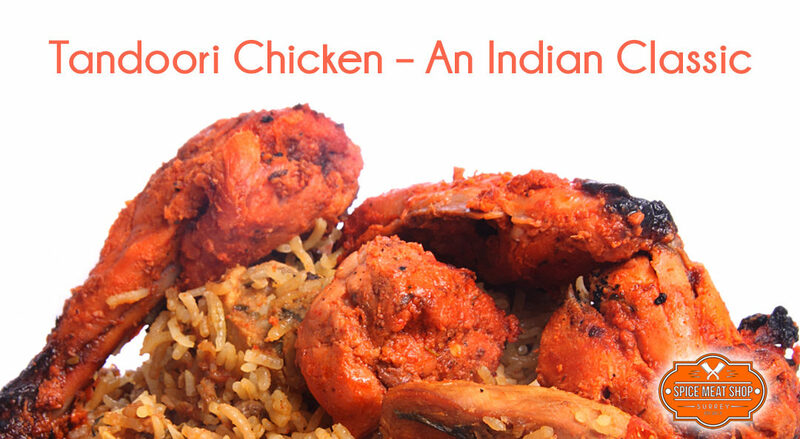 If you love Indian cuisine as much as we do, tandoori chicken probably sounds familiar to you. You may have even tried this mouth-watering dish, but if you haven’t, now is the time! So why is it called “tandoori chicken”? Simple. It’s chicken marinated with yogurt and spices, before being roasted in an oven. Tandoor ovens are used throughout the Middle East, India, Pakistan and even in some parts of Central Asia and China. They were traditionally used in Indian baking, to make Naan but have become more popular over time for more foods, including chicken. Tandoor ovens are made of clay and are cylindrical in shape, kind of like a beehive and they are either coal or wood-fired ranging from large, permanent structures to small portable ovens. For the recipe we’ve provided here, you don’t need a tandoor oven, you can cook it right from your stove top or even grill it in your backyard. Quick Tip: It’s better to plan ahead of time since the chicken needs to marinate at least 12 hours before cooking. As we mention in our Butter Chicken recipe, the longer you marinate, the better it will be! If you don’t want to put in the extra effort of making the marinade, or you just can’t wait 12 hours, Spice Meat Shop already has some chicken marinating. Place all of the marinade ingredients in a large bowl or container and whisk or stir well. Once the marinade is mixed well, add the chicken to the container and toss to completely coat. Cover the container and put it in the refrigerator for at least 12 hours. We think it’s best to prepare this the night before and let it marinate all night and the next day so it’s ready for cooking when you get home from work! When the chicken has marinated long enough, or if you’ve chosen some Spice Meat Shop marinated chicken, the rest is easy. Preheat your oven to 425 degrees. Line a large baking sheet with parchment paper and place a baking rack on top of it. Brush on or spray cooking oil lightly on the baking rack, then set the chicken on the rack. For even more flavour, spread any remaining marinade on top of the chicken before closing the oven door. Roast the chicken in the middle of the oven until cooked – about 40-45 minutes. It’s going to smell amazing so enjoy the anticipation while it cooks! Add some naan or rice to complete this mouth-watering dish and Voila! You have just made one of the most flavourful Indian classics. Happy eating! Let us know if you enjoyed this recipe by leaving a comment on Facebook.